Come on, you know exactly what we are talking about. It’s what most women have only dreamed of and few actually own. It’s one of the most coveted and whispered about gems, in the world. Many of the most beautiful and powerful women in the world, own these colored diamonds. Now, you have the ability to purchase colored diamonds in Miami and South Florida. 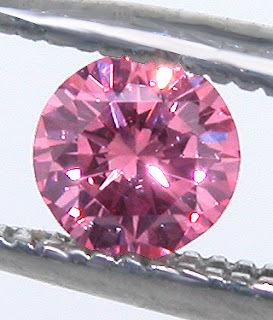 I’m sure by now you’ve realized, we could only be talking about a Pink Diamond. And now that we have you thinking about the available shades of pink and the exquisite shapes like Cushion Cut and Round Brilliant, let’s discuss why this is the diamond that you will want to own and wear. Have you ever notice an elegantly dressed and accessorized, woman? There’s something about the way she adds, just the right touch of color or maybe she owns a spectacular ring, or wonderful diamond hoop earrings. The fire in the gemstone ring and the sparkle in the diamond earrings. You want that look. And, it’s all about choosing a Fine Jewelry Company, like Vivid Diamonds & Jewelry. Let Vivid Diamonds & Jewelry premiere luxury diamond specialists, show you how to create the look of your dreams. Whether it be Pink Diamonds, Chocolate Diamonds, Beautiful Watches, Earrings Or Rings. We look forward to speaking with you and extending an invitation, to our elegant showroom. Let us create the “Jewelry of Your Dreams”.